My weekly shop used to consist of an hour or so of trudging up and down the supermarket isles, wondering what I could afford on a student budget. While I have always avoided plastic bags, I didn’t think much about the packaging that ended up in my trolley or the nutritional value of my oriental 2 minute noodles. Once I started my Zero Waste journey however, I began to realise how much rubbish I was paying for at the check out. Let me say this now – it is hard to eat unhealthily while living Zero Waste. Not only are you minimising your rubbish, but subsequently you are also minimising your processed food which is often nutritionally sub-par. I think this is wonderful and I revel in using natural, unpackaged ingredients when cooking. It does require a conscious effort to prep and cook however – no life of plastic wrapped ‘heat and eat’ fried rice… make your own instead! My Zero Waste weekly shop severely decreased my time in the isles, and has instead become a time that I really look forward to every weekend. Here’s how I do it…. Markets: there are significantly more markets around Christchurch than I ever knew about before last year. These are where I do at least 70% of my weekly shop. Buying locally grown produce supports the farming community and is often organically grown and reasonably priced. You can also find vendors who sell products such as free-range eggs, or non-plastic wrapped cheese. Just remember to take your own bags and jars for your purchases. Bin Inn: this place is amazing. It specialises in bulk products and I turn up every week with a bag full of empty jars. I get these weighed straight away and they write the tare weight of the jars on the lids, so they can subtract that weight later. I stock up on dry ingredients like rice, pasta, nuts and seeds, beans, stock and spices. Binn Inn also has incredible peanut butter which is made right in front of you, is super cheap, and rates higher than Pics in my opinion! Supermarket: I usually buy all my canned ingredients from the supermarket, including beans, tomatoes, chickpeas, and coconut cream. Occasionally I will get a cardboard carton of yoghurt, or another Zero Waste item here. Two things that I struggle to find unpacked are corn chips (I have a nachos problem) and toilet paper. Still a work in progress! These are my three main shopping locations but there are many more options! 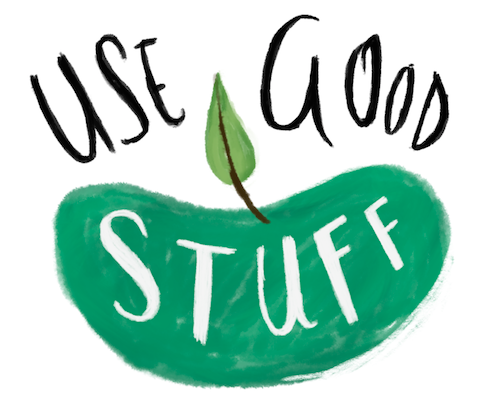 Local green grocers, butchers, and bakers are usually all good Zero Waste alternatives, but remember that the supermarket is also an option as long as you are selective about what you buy. I also especially avoid those flimsy plastic produce bags, because I hate them with a passion! Just put our fruit and veges in your trolley without bagging them, it is just as easy. I should also point out that I am mainly vegetarian* and therefore I don’t have to worry about the cost and packing of meat. I’m sure there are butchers who would be happy to cater to your needs though! I also get free milk in glass bottles from my flatmate’s parents who run a small business selling unpasteurised milk, so that’s another thing I don’t have to worry about. 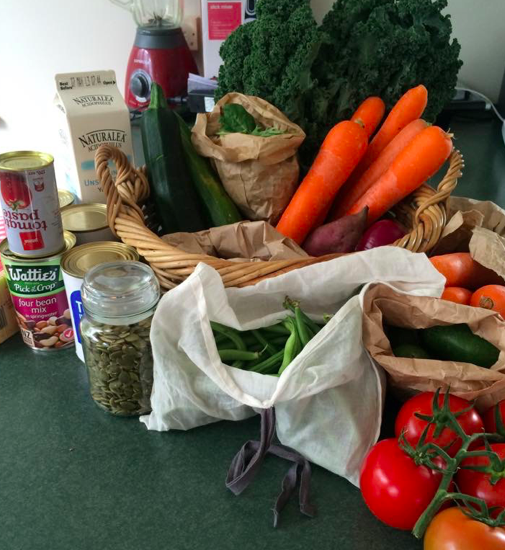 Here’s a recent picture of what my weekly shop can look like!